Cut potatoes into “steak french fries” size. I like them thicker…But that means it’s going to additionally take a little longer to cook than skinny ones. Place on foiled baking sheet. Drizzle with olive oil and gently toss with tongs. Sprinkle salts and pepper over the potatoes. sour cream, Ranch dressing and milk. On a separate platter smooth out 3/4 of the bitter cream sauce. Place hot potatoes on bitter cream sauce. Place under broiler for some seconds to re-soften cheese. 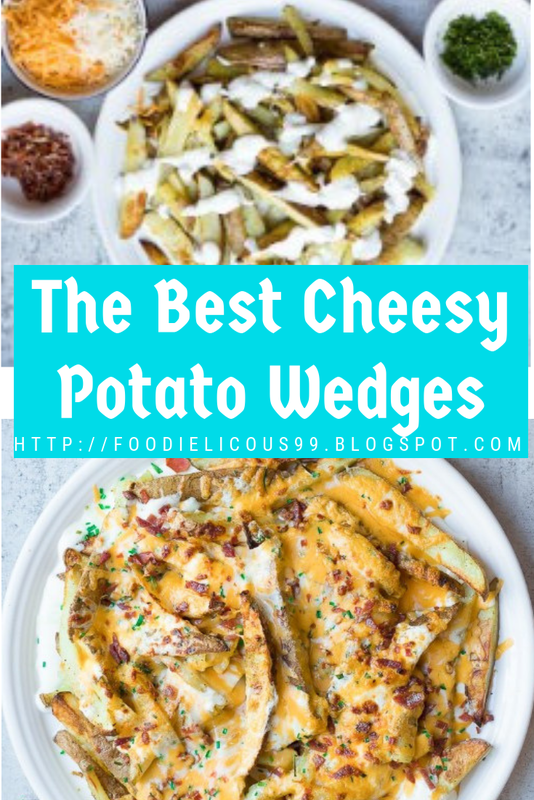 Your cheesy potato wedges are going to be messy and delicious.